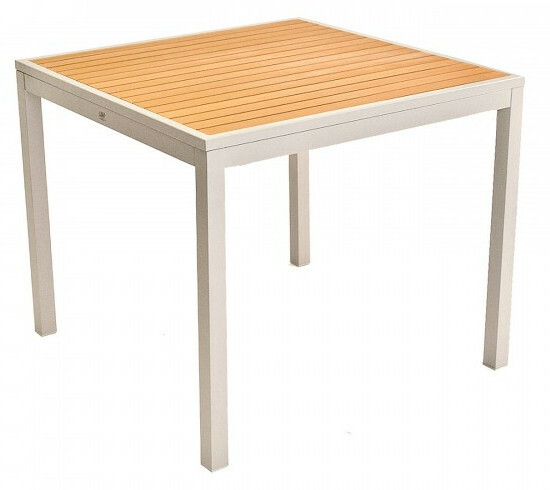 Available in 32x32 and 36x36 this faux teak inlay table features a silver powder coated aluminum frame, with 4 legs. Dress up your pool, patio, resort & more with this commercial teak table. This style of table is known as an "inlay" table. The teak panels are protected on the sides by a silver powder coated frame. This table has a box frame style.